Considering the number of landscape service providers in Perth? Finding the right paving contractor might sound like an easy task. But the truth is, you cannot just contact the nearest contractor in your area and expect the best outdoor space transformation — you need to make sure that you are talking to the right people. There are a lot of factors to consider in choosing the right paving contractor such as the contracting company’s legitimacy, its knowledge of existing rules and standards, and the maintenance cost it offers. Aside from these, you should also consider the company’s experience, competence, and work attitude. A paving contractor must have both license and insurance before it performs paving and other landscaping services. The reason an active license is needed is that paving services must be done in accordance with the rules and standards that only a licensed contractor fully understands. Accepting the services of an unlicensed contractor may only result in unwanted legal issues. The same contractor must also carry a liability insurance. This is to protect you from possible damages that your hired contractor may cause to your property during the construction period. The right paving contractor should be able to clearly explain all the things you need to take into account before the paving services starts, including the required documents of approval and standards to follow. 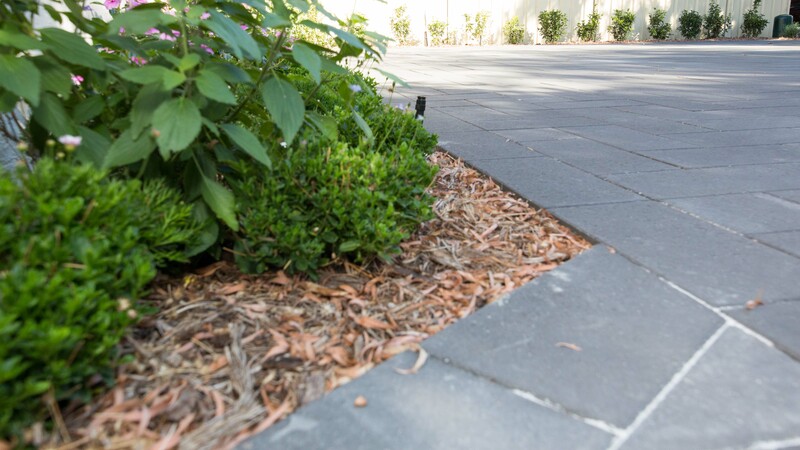 Major paving projects in Perth, together with other large landscaping projects, require the approval of the local council. You may call your chosen paving contractor first regarding this and they should be able to give you an advice. There are also specific standards that must be applied when performing landscaping services such as major paving. You need to ask the your contractor if they are known to such standards before you sign a contract with them. You may visit the website of the Department of Commerce if you want to know more information regarding these standards. Paving Contractor Perth : Email or Phone Killian. The frequency of maintenance needed may be affected by a number of factors including the shape and size of the paving and the type of materials used. In case professional maintenance services are needed, your best choice is to contact the same contractor who made it as they are the most familiar with the work. Therefore, it is better to consider maintenance cost before you sign a contract with any paving contractor. A good contracting company will most likely offer a guarantee to their work and will not charge you in case their work wears too soon. Another criterion to take into account is the level of experience the paving contractor possesses. Experience matters in landscaping fields because it tells how many outdoor spaces a contractor has already handled. The more years the contractor has been in the industry, the more experienced it is to deal with different outdoor space styles, sizes, and themes. In case your chosen contracting company is new, you may still consider hiring it provided that you ask for proof of its previous works. You can ask for at least three referrals from the contractor so you can confirm if the contractor really produces desirable outputs. You may also coordinate with another homeowner who hired the same contractor for a similar project, as it will be better if you can visit the site yourself. Remember, a good paving contractor will not hide its previous works from you. Paving an outdoor space is not as simple as filling the ground with bricks. The right contracting company know how to deal not only with an empty ground but also with spaces that have an existing infrastructure. As soon as the team visit your outdoor space, they must be able to discuss the available paving options for you. The right paving contractor must also be able to discuss the number of materials needed, the compaction process, and other concerns that relate to the project. You may also ask them to estimate the cost of the project. If you already have an idea of what you want your lawn to look like once finished, you can freely discuss it with them. The right contractor will happily welcome any idea that comes from their customers. A reputable paving contractor should be able to align its initial plans with your ideas. It should be able to provide you with a flexible schedule of work. It should always ensure that your yard is left clean at the end of each working day. Most importantly, it should always prioritize your safety and convenience during the whole project period. You may find it inconvenient to check all these criteria especially when you need a paving contractor immediately. Fortunately, there is WA Luxury Landscaping— a reputable paving contractor that has all the quality criteria you need. WA Luxury Landscaping is located in Perth. It is a licensed contractor that aligns all its services with the appropriate rules and standards. All its paving works are guaranteed long-lasting and maintenance-free. With more than 10 years of experience in the industry, the company is renowned for its competence and its customer-oriented attitude. It can give you the quality landscaping services you deserve.